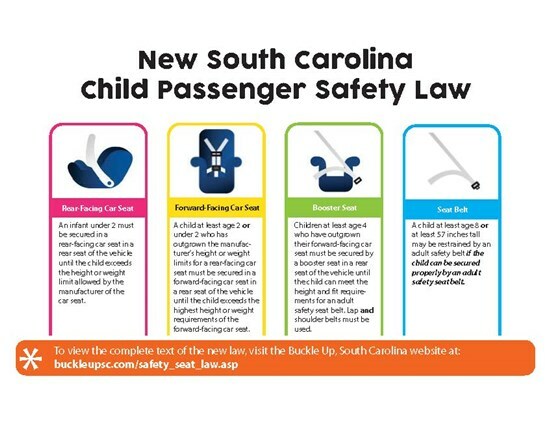 The Batesburg-Leesville Police Department promotes child passenger education by providing information concerning the proper use of child restraint devices, as well as certified technicians who ensure that these devices have been properly installed in their respective vehicles. Several of the Officers of the Batesburg-Leesville Police Department have received specialized training and have been certified as Child Passenger Seat Technicians. These officer technicians provide this invaluable service to the Batesburg-Leesville Community at various times and locations throughout the year through the use of Child Passenger Safety Seat Checks. The overall goal of this program is to enhance the safety of the children in our community. The Batesburg-Leesville Police Department looks forward to working with parents and care providers of children to make our community a safer place for our children for years to come. While riding in a vehicle, children under the age of eight (8) need to be properly restrained by an approved child safety seat. 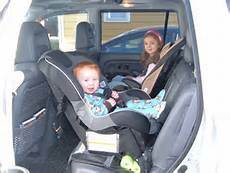 An infant or child under two years of age must be properly secured in a rear-facing child passenger restraint system in a rear passenger seat of the vehicle until the child exceeds the height or weight limit allowed by the manufacturer of the seat. A child at least two years of age or a child under two years of age who has outgrown his rear-facing child passenger restraint system must be secured in a forward-facing child passenger restraint system with a harness in a rear passenger seat of the vehicle until the child exceeds the highest height or weight requirements of the forward-facing child passenger restraint system. A child at least four years of age who has outgrown his forward-facing child passenger restraint system must be secured by a belt-positioning booster seat in a rear seat of the vehicle until he can meet the height and fit requirements for an adult safety seat belt as described in item (4). The belt-positioning booster seat must be used with both lap and shoulder belts. A booster seat must not be used with a lap belt alone. the child is able to sit with his back straight against the vehicle seat back cushion with his knees bent over the vehicle's seat edge without slouching. To ensure a safety seat has been properly installed, visit the Batesburg-Leesville Police Department or call (803) 532-4408 to set up an inspection.